Someone asked me what advice if I could give to my twenty-year old beginner trader self. A lot of traders believe that they would not let any of their mistakes happen. I would certainly welcome all errors I made as a beginner trader. They have shaped me into the trader I am today. Every trading disaster I have been through is responsible for where I am standing right now. Isn’t there at least one thing that I wish I had known in advance. I wish I had known that the pain is part of the journey and that without pain there is no journey worth going on. Nothing really works in trading forever! You must find your own edge and start building up from there. Win or lose you need to play. And somewhere there in-between the profits and losses you are learning how to manage your risk properly and how to become consistent with time. No such thing as an overnight success in trading. At least not in the long-run. Trading should be taken as a serious business. Never put yourself into a position of judging the market or being angry at it or think it is “acting” against you. Mr. Market is always right. You should never overestimate your abilities, too. The balance of successful trading lies in-between the time that you are waiting for a trade, your self-discipline and being patient enough to let your winners run. I wish I had known that as a beginner trader when I was starting out in trading. At the end of the trading day you should be able to look at the mirror and remind yourself that at least you got the chance to trade. The beginner trader usually does not last long. If you keep this mental image, then you will be thinking twice before increasing your trading size after a losing streak. If you want to survive in this game, you should not allow yourself to overtrade. In the beginning of the trading day, always think about its end before taking a trade! If there is even the slightest chance that you are going to “hate yourself” at the end of the trading day, DO NOT TAKE THIS TRADE! Trading is about the journey NOT ABOUT WINNING! Beginner traders like to think this way, but you SHOULD NOT! The successes in life are about the privilege you were given to do more work of what you like doing; they are not about winning. The more your beginner trader’s mind thinks about winning, the lower your chances will be in succeeding in this game. There is no such thing as a second chance in trading! Think of it as it is your last trading chance. Never give yourself second chances, taps on the back or ego-boosting sessions. Trading IS NOT about boasting. Trading is a lonely journey of self-discovery. Trading is about the one and only trade you would have taken. What if you didn’t have a second chance? There is never a better time than NOW to re-think your approach to trading. Never underestimate the market and you will be a better trader tomorrow! 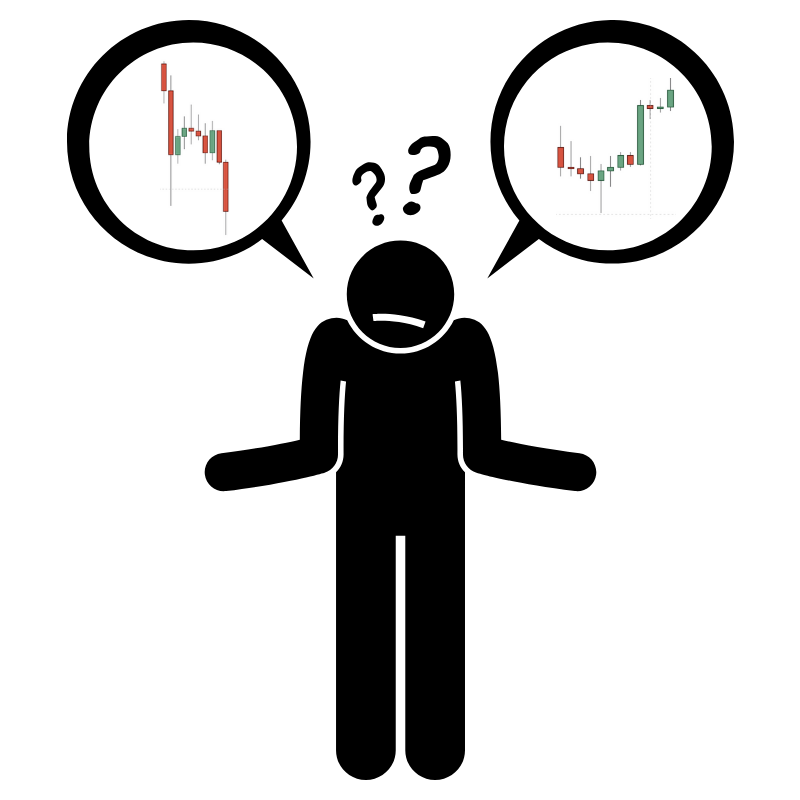 Try to stay away from “lucky trades” and “gut feelings”, because they are not a great teacher. Trading is about you and nobody else can understand you better than yourself. When the result isn’t the only point, then of course you are going to spend more effort on process and intent. Reassurance must come from within. A lot of traders (especially beginners) think that if they change their trading strategy, this will automatically lead to an improvement in trading results. Jumping from one strategy to another is not a substitute for bad trading. Where you need to look to is deep inside of you; you need to try to resolve your internal conflicts. We as traders are constantly swayed away between a state of fear and greed. Look no further but into your own bad trading habits’ basket. There is no better place to start your journey as a beginner trader than that. Do you already see your mistakes? Try to think less and analyse more. Traders should not necessarily have “computer brains”. Traders (especially beginner traders) should be ready and willing to look back and analyse their own trading behaviour. Nobody but you is going to help you in this journey of self-discovery. You should work on your habits and try to eliminate the bad seeds of trading failure. The more you look the less you see. That is why you should track and analyse your behaviour. In case you don’t see it, it means you have looked enough at it. Walk away, don’t think about it and it will come back at you naturally later. Analyse your trading mistakes and bad patterns and eliminate them. Become better and never come back to where you were standing a few years ago as a beginner trader. What steps should I take to move forward? If your beginner trader’s brain is still taking you lower, you should reconsider your approach to trading. In fact, you should reconsider if trading is for you at all. If you are not happy with the way you spend your time on a daily basis and you feel miserable after a long day of trading, it means that trading is probably not right for you. You should possibly look deep inside of you first and decide if this is what you would like to do for a very very long period of time. If the answer is NEGATIVE, do yourself this favour and find another undertaking. Trading won’t make you any happier or richer if you are not feeling that POSITIVE vibe straight from the bat. …and become a better trader! If you are going to “swing for the fences”, then you should probably start your beginner trader journey by discovering yourself first. Then and only then you can move on to the higher league of professional traders.